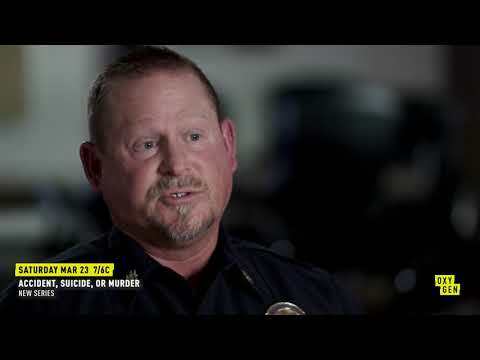 Oxygen Media, the destination for high-quality crime programming, explores the unbelievable true stories of suspicious deaths in the new series, "Accident, Suicide or Murder" premiering on Saturday, March 23 at 7pm ET/PT. Each hour-long episode retraces the investigation from start to finish, taking viewers through the twists and turns of these shocking cases, from dissecting the red flags to the undeniable evidence, and strange behavior that put the tragedy in question. With the families fighting for justice and the detectives on the case determined to find the truth, motives will be exposed and justice will be served as the families finally find out what caused the death of their loved ones. Accident, Suicide or Murder Season 1 was released on Oxygen 33d ago in the US. Notify me when Accident, Suicide or Murder Season 1 is available.